With the variety of activities available at the International Campsite, both young and old will find something to enjoy. 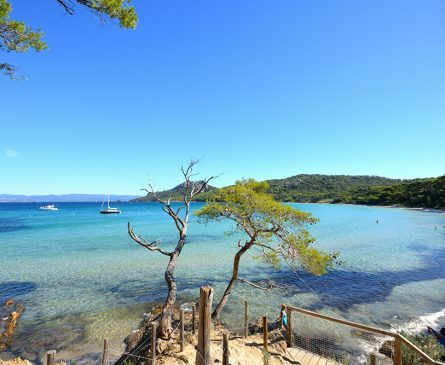 The Var is an ideal destination for a family holiday. 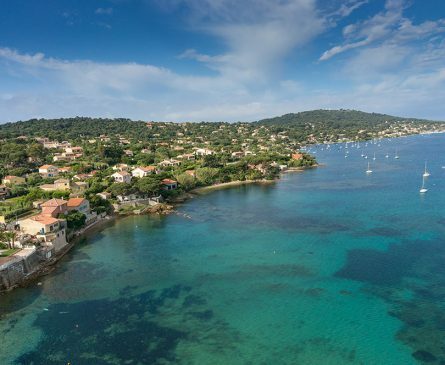 Alongside the beach and boating activities, the surroundings of Hyères and the Giens Peninsula are full of sites to visit, by the sea or inland. 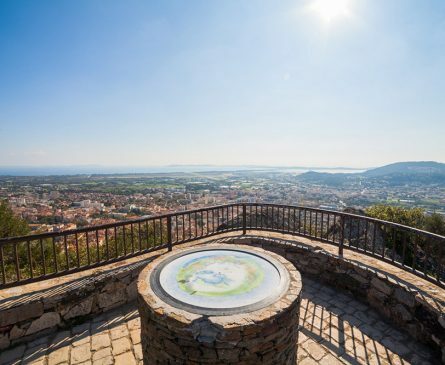 From the thousand-year-old city of Roquebrune to the seafront of Saint-Raphaël via the coastal path linking the Issambres to the Lavandou, multiple landscapes are available to you. 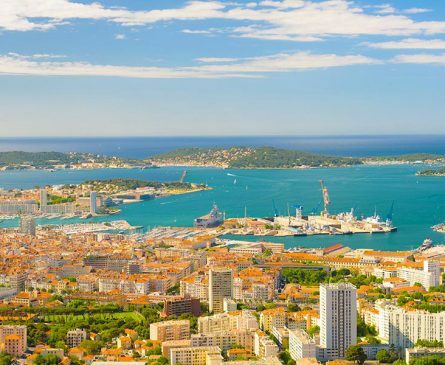 Do not miss the chance to admire the famous harbor of Toulon, and to offer a nature getaway through the preserved landscapes of the islands of Porquerolles and Embiez. 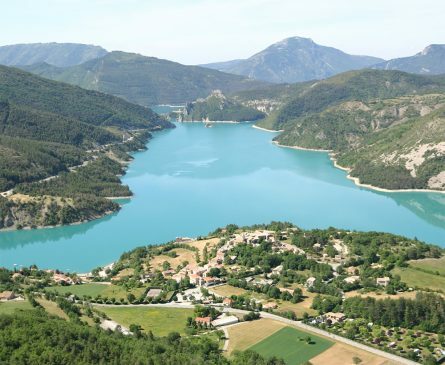 Higher up in the land, the Gorges du Verdon are a must for any stay in the Var. 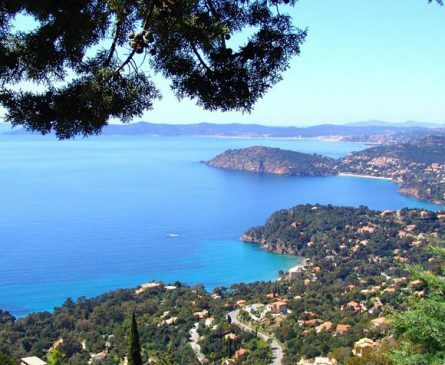 On the coast or in the mountains, go finally to the discovery of the most beautiful villages Var: Bagnols-in-Forest, Castellet, or Bormes-les-Mimosas! 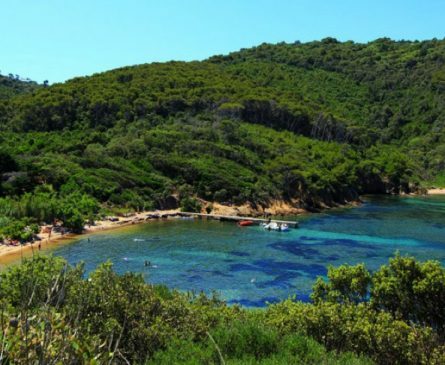 And of course there’s the Giens Peninsula, a true gem for lovers of hiking, photography, diving and boating. 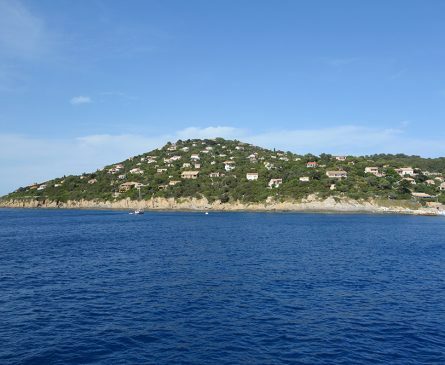 As its name suggests, the island is connected to Hyères by a double sandy isthmus or tombolo, one-of-a-kind in Europe. Hiking, diving, boating and photography are all great options any time of year. 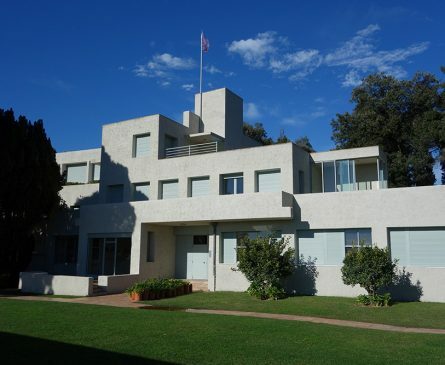 An example of modernist architecture, built during the inter-war period, the Villa Noailles hosts big names of the design and art world each year. A gem for fans of modernist architecture. 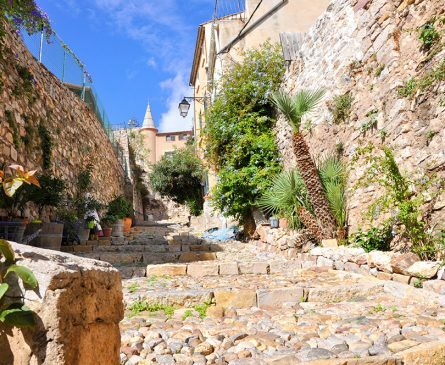 A town that smells of orange flower, mimosa, rose… Hyères has been known for its greenery and flower gardens for decades, which people love to visit. 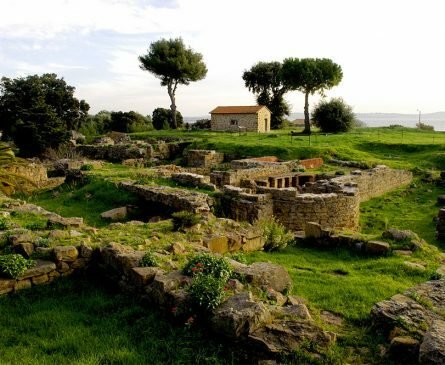 Explore the Olbius Riquier and Villa Noailles gardens. 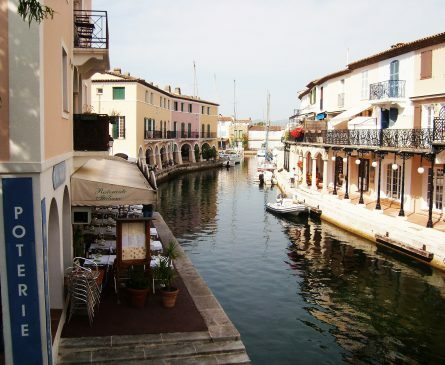 Downtown is made of little paved streets, that can be quite steep, and you will love its many restaurants and shops. 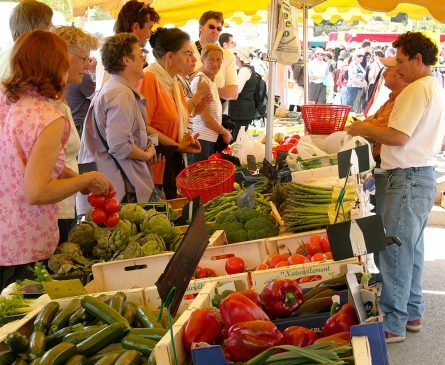 It has a traditional Mediterranean Provence market. Market day: Saturday. Known the world over for its amazing beaches, there is no place else like it! 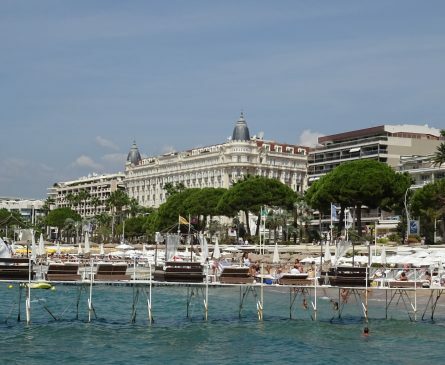 Restaurants, accommodations, hiking and cycling, diving, boating… Accessible by boat shuttle from the port of Tour Fondue. An amazing natural aquarium. Home to its own species of grouper, this beautiful island has been protected from human activity by being named a National Park. Calling all divers! Departure from the port of Hyères. 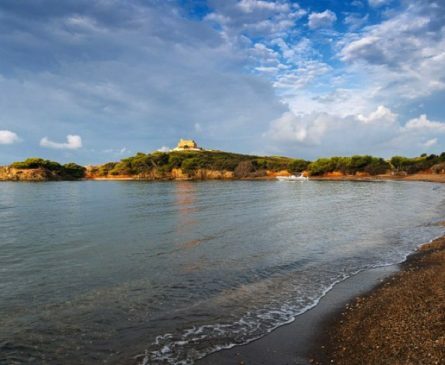 This island bristling with green spaces has been a naturist colony since 1936. You can also visit forts dating from the Napoleonic era. Departure from the port of Hyères. 5 km of beach span one of the tombolos linking Giens Peninsula to Hyères. 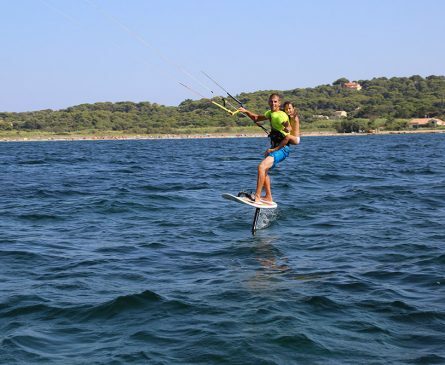 This spot is known worldwide and hosts windsurfing and kitesurfing championships each year. 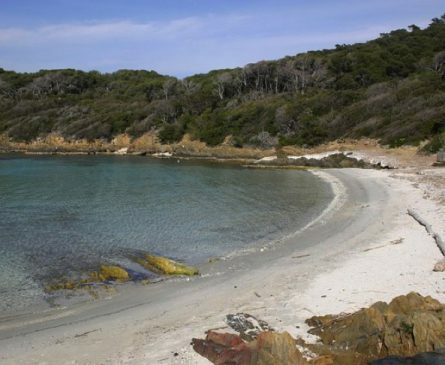 Located on the southern cost of the Peninsula, Les Darboussières beach is quieter and rockier than its competitors. It’s a great place to go snorkeling. A little beach at the bottom of the Parc des Chevaliers, at the very end of route de la Madrague. A beach with shallower water where you can walk out far without losing your footing. You have to walk 45 minutes to get to the beach. You can discover the local marine flora and fauna by following the underwater trail, and all you need is a mask and snorkel. 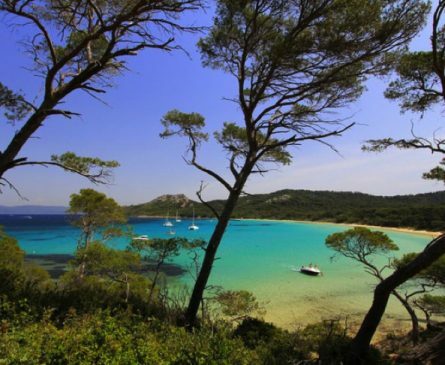 The turquoise water, the scent of eucalyptus, the largest beach on Porquerolles will amaze you. A rather crowded beach located 30 minutes’ walk from the village. No anchoring is allowed, so you can swim anywhere and admire the flora and fauna. 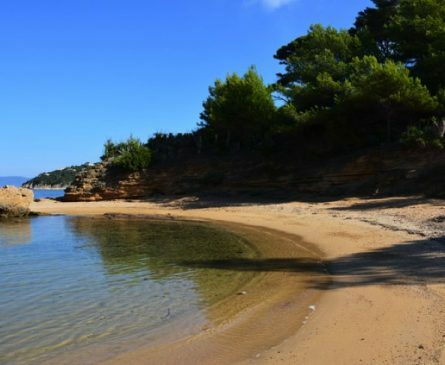 This is a beautiful naturist-only beach! A stretch of black sand that owes its color to slag spills, dating from the 19th century. A shady, very nice place for boaters. 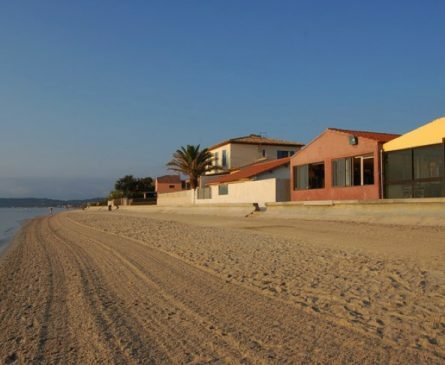 Located on the eastern tombolo, La Capte beach is only a few minutes’ walk from the salt marshes, from which you can watch the sunset and flamingos. 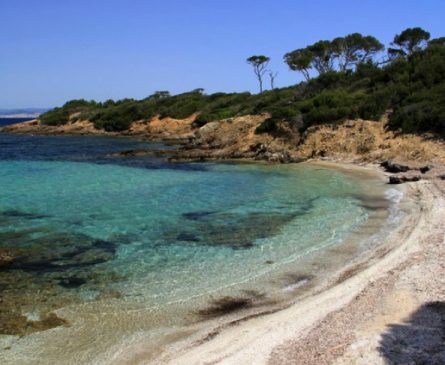 Just as beautiful as the other Porquerolles beaches, Notre-Dame is an incredible white sand bay with crystal-clear water. 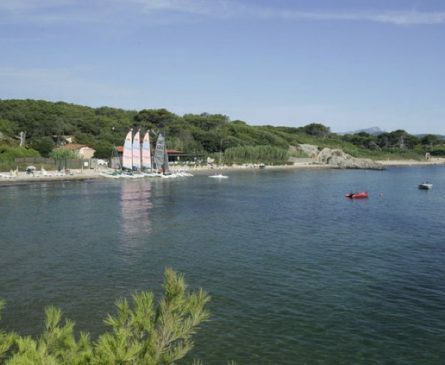 L’Almanarre is the perfect spot to learn how to windsurf or to perfect your technique, and is known worldwide. 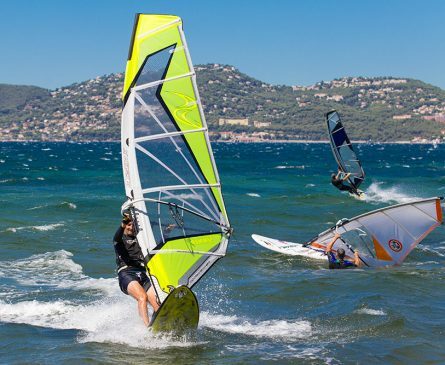 Our Spinout windsurfing school has classes for all levels! 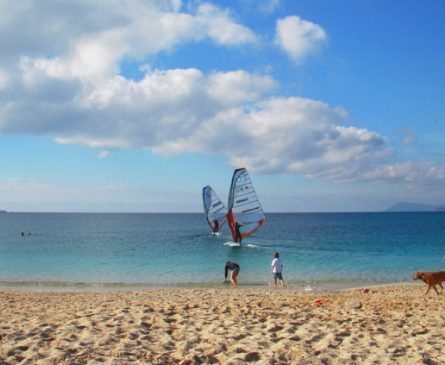 L’Almanarre is the perfect spot to learn how to kitesurf or to perfect your technique, and is known worldwide. Our partner KGG offers classes for all levels. Even more fun sports to discover with our partner KGG. 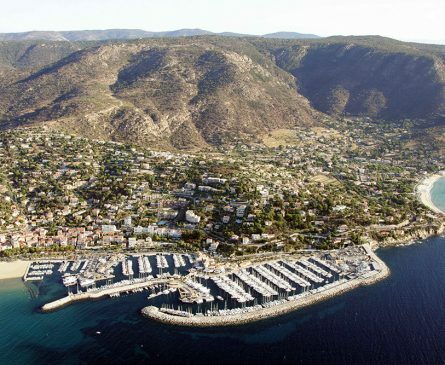 Diving in the Port Cros National Park is a unique experience. There is something to enjoy for every level of diver! 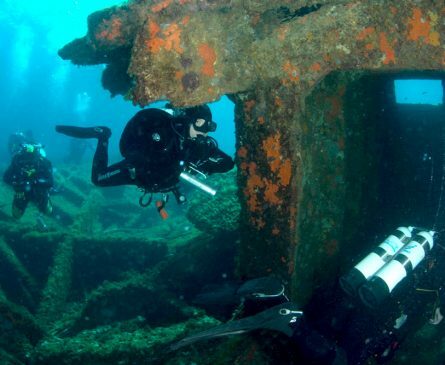 Our diving partner Divin’Giens has trips every day to various dive sites. 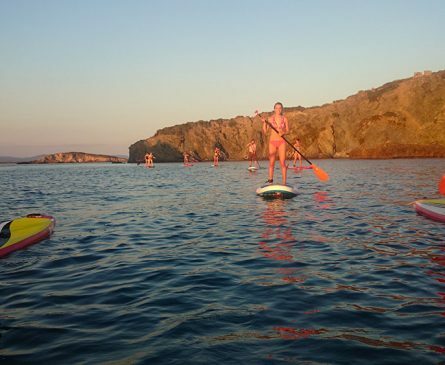 Everyone can paddleboard on any budget: it’s a fun and different way to enjoy the sea. 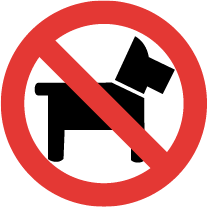 Contact Spinout for more information. 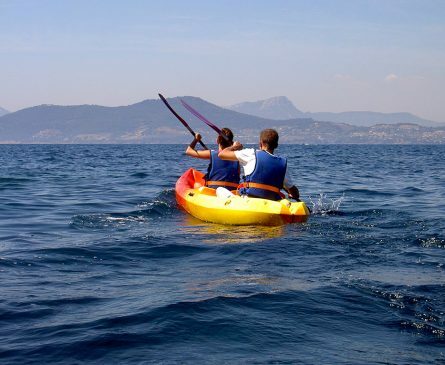 Head out to explore the Peninsula, in single or double kayaks! Contact Spinout for more information. 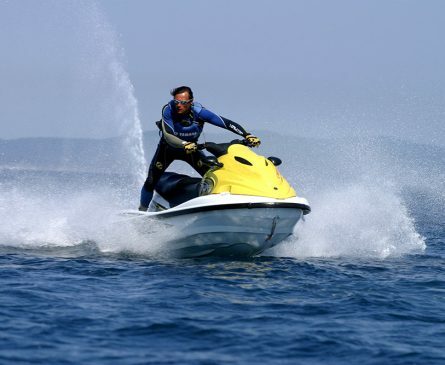 Jet skis are great for an adrenaline rush, whether you’re alone or with a group! Contact our partners Audemar & La Petite Flotille for more information. There is the Kiddy Parc, for ropes courses. Paintball Colors Duty for a game of paintball. Magic World for having fun at the fair (mid-May to end of August). You can visit the market, or tour the town and its beaches on a little train. 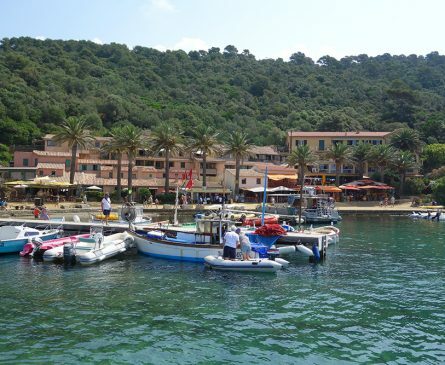 Discover the Navy Museum and La Rade. Go to a music festival or the Opera. 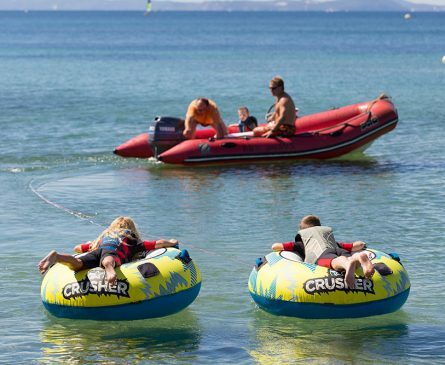 Discover the beaches, the resort and water sports. Go on a hike or a bike tour. The local craftsmanship will amaze you. Try scuba diving and take a guided tour. 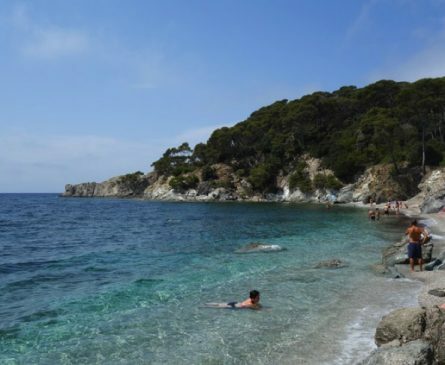 This town has 12 beautiful beaches covering 12 km. 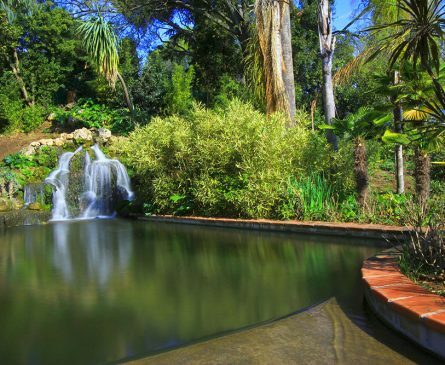 Discover its gorgeous gardens and cultural heritage. 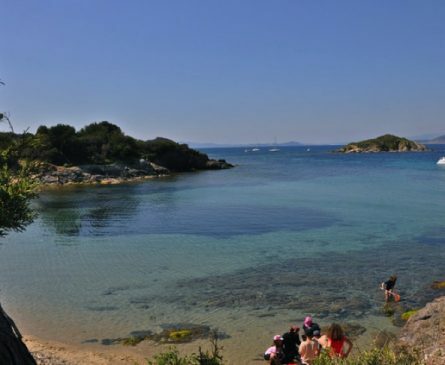 At the Domaine du Rayol, you can follow the underwater trail with fins, mask and snorkel. Then, discover the local fauna and flora with a nature guide. And why not rent a boat to spend a day on the sea? The Verdon is full of beautiful landscapes! It is home to the famous Verdon Gorge, as well as the Mercantour National Park. You can enjoy hiking, paragliding and many other sports. 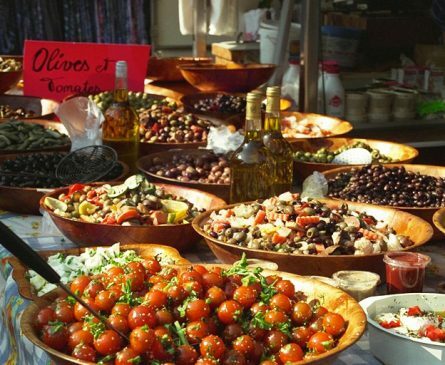 Here is a partial list of Provençal dishes that will make your mouth water! 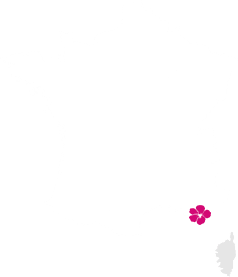 Everything to do with the olive, aioli, the famous herbes de Provence, chestnuts, figs, ratatouille, soupe au pistou, bouillabaisse, anchoïade, daube provençale and of course the famous rosé. 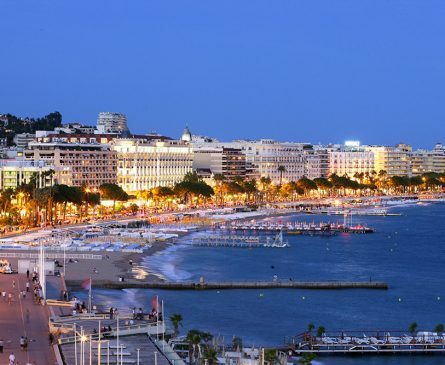 The famous festival city has much to offer: a walk down the Croisette, downtown shopping, the Lérins Islands or its many museums, castles and churches! In need of nature? 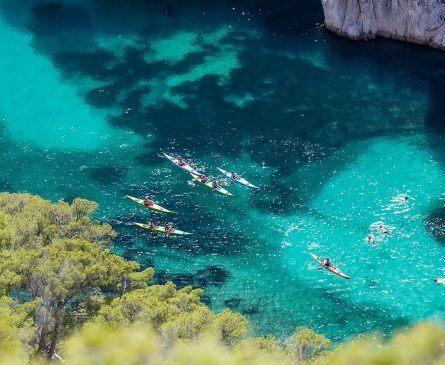 Take a hike down the gorgeous calanques in Cassis: On the schedule: walking, swimming, picnicking. 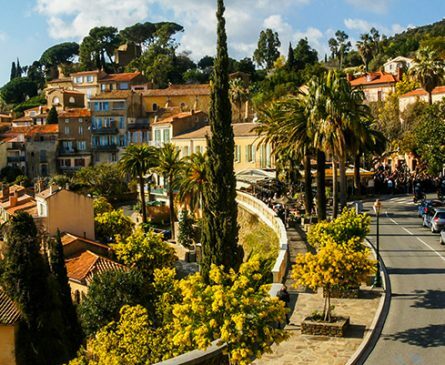 Traditional Provence village in the heart of the Gulf of Saint-Tropez. 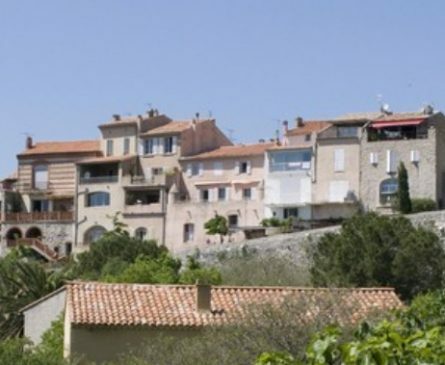 A little picturesque village known for the Paul Ricard Formula 1 race track!